The former youth world champion hardly broke into a sweat as he swatted aside the challenge from Punjab’s Manoj Kumar. Pune: The story of day two of the men’s Nationals was an extension of the template that was set on day one. The Railways Sports Promotion Board and the Services Sports Control Board continue to rule the roost at Army sports Institute on Sunday. Former youth world champion Sachin Siwach (52kg) got off the mark with a win via unanimous decision against Punjab’s Manoj Kumar. In Siwach’s weight category, former national champion PL Prasad was in fine form as he got the better of Rahul Rajput. Former Asian Championships and Commonwealth Games silver medallist Mandeep Jangra (69kg) also had no trouble dispatching Rajasthan’s Vijendra Singh. 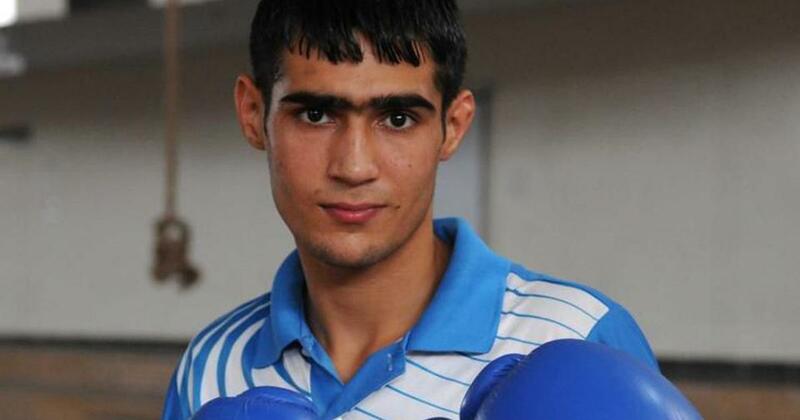 The Haryana-based boxer is among the favourites to win gold in his weight category. Services and Railways ended with three wins each in their weight category. With established stars Gaurav Bidhuri and Manish Kaushik yet to step in the ring, the trend is expected to continue on day three. Services’ Dalvir Tomar and Railways’s Rohit Tokas were off to winning starts in the morning session, which was delayed. Then, Services’ Deepak beat Gopal Hoge of Maharashtra and Railways’ Pawan Kumar also emerged victorious. In the second session, all eyes were on Sachin, who did not disappoint. 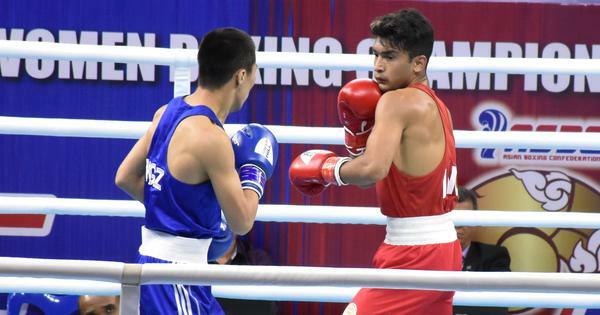 The Bhiwani-based boxer was measured in his approach in the first round but landed several telling blows in the second and third round. Sachin later said that his strategy in the ring was a part of the plan. “We don’t know the opponents who are up against us so I used the first round to study the opponent. Once I knew what kind of a boxer he was, I was able to play my game, and counter-punch effectively,” the 19-year-old told Scroll. There was little doubt that Sachin could go all the way but will face a stiff challenge against Services’s Prasad, whose movement in the ring was a sight to behold, and it won’t be an exaggeration to say that he was the pick of the lot. Prasad, who was back after a serious injury, oozed class and confidence as he defeated Rajput. The 23-year-old, who battled a career threatening injury in the recent past, also had a a strategy similar to Sachin. “In such events, you wait till the end of the first round to read your opponent. After I got to know what his game was all about, I went for the kill,” the Vizag-based boxer said. Another bout that stood out in the second session was the one between Services’ Duryodhan Singh Negi and Pondicherry’s M Prabagaran. The Services boxer spared no prisoners with his punches, and won via RAC.